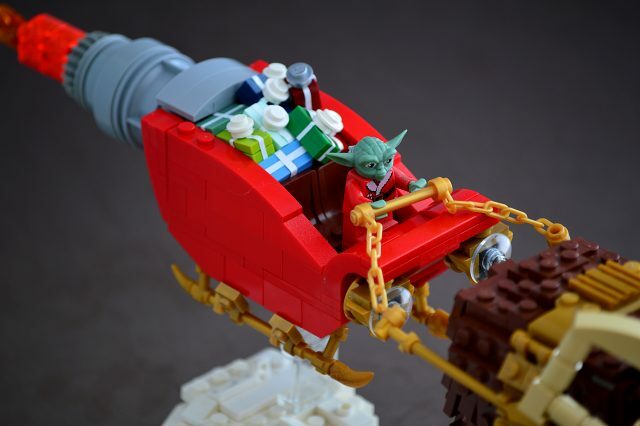 Then one sandy Christmas eve, Yoda came to say, Bantha with your nose so brown, won’t you guide my sleigh to town! I always enjoy making a Christmas-themed build when the season comes around, and having built a Santa’s arrival scene last year that would be hard to top (even if I do say so myself), I wanted to do something a bit different and more fun this year. I’ve had those minifigures from the LEGO Star Wars advent calendars sitting on top of my shelf for quite a while, so this was the perfect chance to put one of them to use. Plus I’ve always wanted to build a Bantha. Photographing this model was tough, since it is so long and my backgrounds are so small (I still haven’t had the time to pick up some more of the felt stuff I use from Michaels), so the sleigh is in the background, but I think its visible enough. 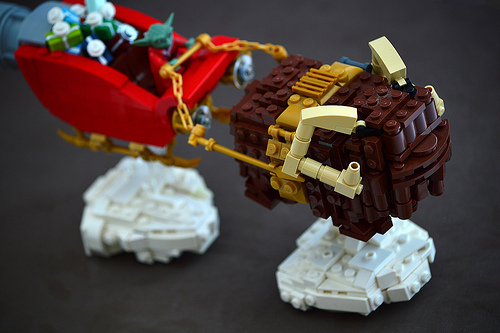 I like how it gives depth to the main picture, but here is a shot of just the sleigh so you can see it in focus. There should be a review of this build uploaded to my Youtube Channel either later today, or tomorrow, if you’re interested in hearing me talk in depth about the build, and break it down. 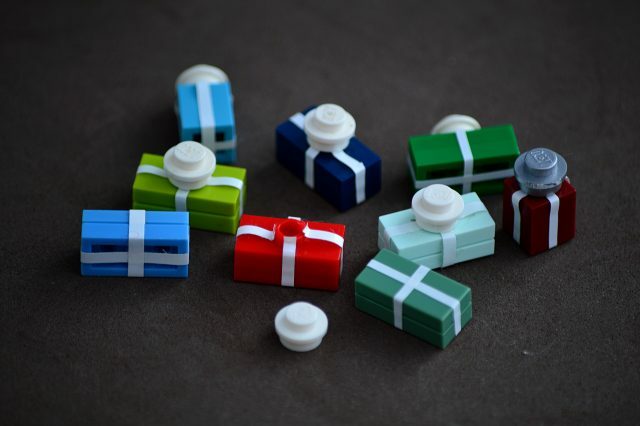 Thanks for reading everyone, and Merry Christmas!